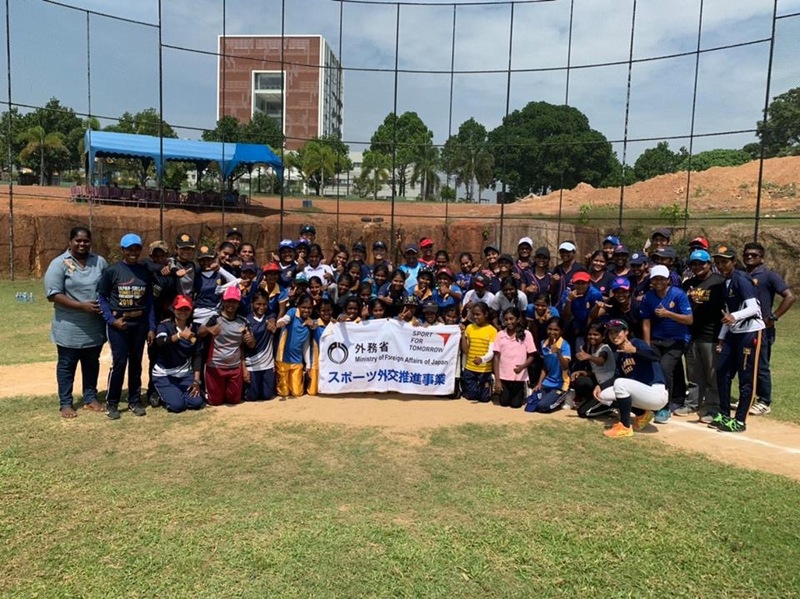 (Ceylon Today – December 10) Sujeewa Wijayanayake, now based in Japan, has provided yeomen service in promoting and developing baseball in Sri Lanka. The 35-year-old Sujeewa started his junior high at Mahanama College, Colombo and completed his higher education at Ananda College, Colombo. He migrated to Japan for further studies and followed a course in Travel & Tourism Hospitality. He graduated in 2010 and found employment in a Japanese organization. Meanwhile, he was highly instrumental in developing baseball in Sri Lanka, and later became the live wire behind this game. Base ball was introduced in 1984 by the then Sports Minister, Festus Perera. As a new sport, only a handful of people took up the game as it is a very cost effective one. Sujeewa coached Ananda and was also the Media Coordinator of the Baseball Association. As the game was in the initial stages and funding was provided by the Japanese Government until 2006, Japanese International Cooperation Agency (JICA) was assigned to train and develop baseball in Sri Lanka, and Sujeewa functioned as assistant to the Japanese coach. After he completed his University studies in Japan, Sujeewa had an intention of lifting the standard of the game here. He was finding ways and means to get support from the Japanese and struggled for almost six months. He found that the standard of the game was very high in Japan when compared to Sri Lanka. He put in a lot of effort to find a way to obtain support from Japan to improve the game in Sri Lanka. In 2007 he joined the Japanese Professional Amateur Umpiring Schools and graduated as an umpire at primary level. Then he started umpiring at school level. With fluency in the Japanese language, he then started umpiring club matches, and gave lectures about the game and to support baseball in Sri Lanka. He then opted to have a permanent box fixed in the umpire’s room at these venues and made an appeal to the players of clubs to fill that box with old equipment, when they were replaced with new ones. He found success in 2009 and took a few boxes of baseball equipment to the Sri Lanka national team, who were on a tour in Thailand, Bangkok. In 2010 he became an International Umpire and managed to collect 58 boxes of baseball gear, which arrived in 2011. With the recognition of the International umpires’ qualification, he started officiating schools, clubs, universities and all amateur level matches there. In 2010 April, AZ Hotel Chain offered him his permanent job. Along with the shipment of 58 boxes, he came to Sri Lanka to locate a plot of land to put up a stadium. He had approached the Sports Minister of the time with his suggested plan, and ex-President Mahinda Rajapaska had granted land in Diyagama for the stadium after the intervention of the Japanese Government and JICA support. Even though they got the land, financial support to build the stadium was an issue. Sujeewa then embarked on that mission in search of funds to put up the stadium. AZ Hotel Chairman Anami Yasuo, his employer, came forward to fund his project with 8.5 million rupees, without knowing anything about baseball, but purely trusting Sujeewa’s word. The total construction cost was 30 million and the balance amount was funded by the Japanese Government ODA and other Japanese supporters. This worthy cause also received the support of the Japanese Foreign Ministry, JICA and well wishers. The ground was inaugurated in 2012 and a Japanese high school team came here to play a match at its inauguration. In order to develop the player’s skills and spreading the game Island-wide, he arranged for over 250 players to travel to Japan for further training and to play matches. Two of our coaches were trained by a Japanese professional baseball team, Hiroshima Club, for ten months, which was a full sponsorship package. Five groups have been sent from here to be trained and educated in the recent past. Sri Lanka is currently ranked 41 out of 125 countries, and is registered with the World Baseball body. As further assistance for the development of the game, Sujeewa has arranged a container load of baseball equipment, which is due to arrive in the country mid next month. With this he expects to send more coaches and players for further training abroad in order to raise the standard to Asian and International level. He is also the only umpire with an International Licence to be nominated by two countries. Sri Lanka hopes to hold the West Asia Baseball Tournament in Sri Lanka next year, and he hopes to shoulder that event with the support of Japan.